Made from .25-inch thick quality acrylic. Use the HQ wave to make spines for feathers and other designs. 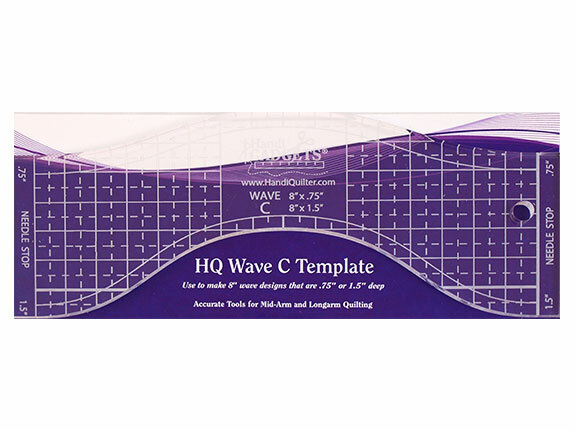 This ruler makes a 8-inch wave from peak to peak and makes either .75-inch or 1.75-inch deep waves. Ruler packaging includes instructions for use, safety tips and design ideas. Use with the HQ Ruler Base.